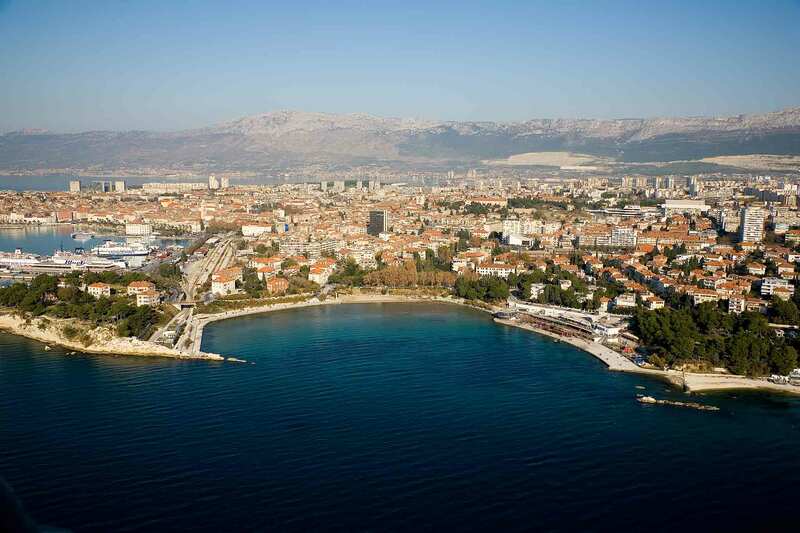 Bačvice is most famous and most popular beach in the Split. It is all from fine sand. Bačvice is also name for district of the city. Interesting thing is that beach Bačvice is located in very center of the city. The distance is about 10 to 15 minutes of walking from Diocletian Palace. Although the beach is in very center of city, still it has blue flag; award for most cleanest and organized beaches in Europe. In summer period beach is very crowded with local population and tourists also. The sea on the beach bay is very shallow. You need to walk 50m in sand before you can reach enough dept to swim. Because shallow sea you will see lot of people playing local game – pincigin. The rule is simple – few people staying in circle must maintain small ball in the air as long as possible. See around how local population plays and try it by yourself! Beach Bačvice (as most other beaches) has few watch towers with guards overlooking beach and intervening if there is need for it. On the beach are several coffee bars; you can rent a beach chairs and sunshades for 3-4 euro per day. They are showers with drinkable water on the beach. Beach Bačvice is also most popular all year night destination in Split. There is lot of night clubs on the same beach and in summer you can see more young tourists in those night clubs than locals. Also you can enjoy in night swimming on beach Bačvice because sea is warm and air is hot even at night. Hotel Marmont is only 10 minutes of walk from the beach. Check out for summer night beach parties!